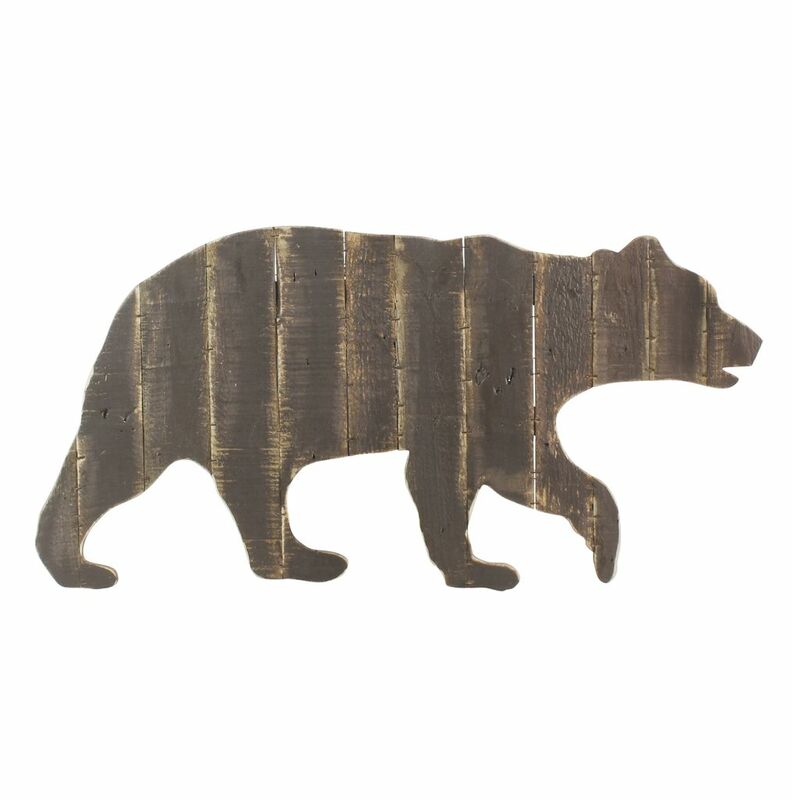 A simple yet graphic bear silhouette stands off the wall in wide planks and a distressed painted finish. 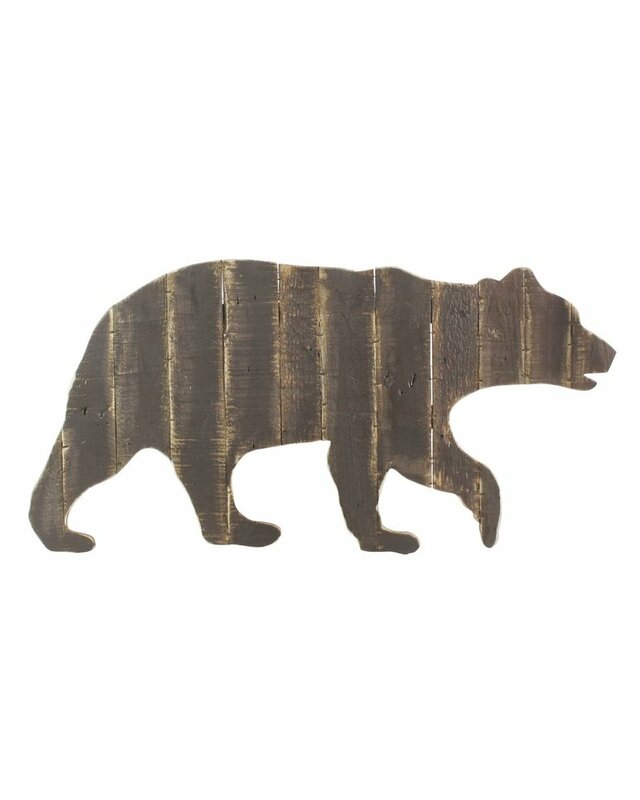 A perfect compliment to any home, cabin or camp! Wall mounting with 2 hangers on the backside.